The Holga is a plastic camera. All plastic except for the screws. It has a plastic lens, it weighs about 200 grams, it costs about $20 $39.99. Made in China. Its become somewhat of a cult item in photography circles. I have used a Holga for night photography since 2002. The Holga uses medium format film and has some interesting characteristics: it leaks light and the resulting images tend to be somewhat fuzzy due to the above mentioned plastic lens. The Holga has one shutter speed and one aperture. 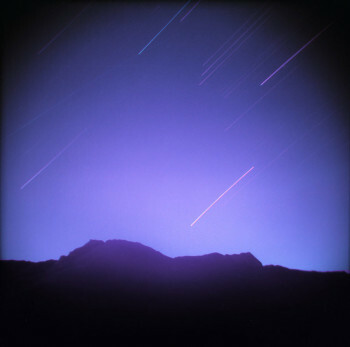 The shutter speed is about 1/100 second, the aperture is approximately f8. That’s an estimate, as all Holga data are estimates. Your Holga may vary. Photographing with the Holga is a little bit like therapy, in that it teaches you to give up control and embrace random ocurrences of serendipity instead. The rewards are occasional shots of magnificent imperfection that could not have been achieved with any other device. You also learn to be more spontaneous in your shooting, focusing on the image you see instead of the technical details. Most Holgas leak light onto the film,If you want to do away with the light leaks you can tape up all the seams with black electric tape before you go out to shoot. I also spray painted the inside of the camera flat black, which helps avoid light leaks and reflections off the shiny plastic. The focus controls on the Holga are as follows: Set it on the mountain for far away shots, on the group of people for medium far away shots and on the little person for closeups. I am not sure it really has an effect, but you might want to experiment anyway. There are two choices for aperture control: sunny and cloudy. I always set it on cloudy, because a bit more light is always good, especially if you shoot negative film. However, some say the setting has no effect whatsoever. The film, if loaded as is, tends to be very loosely wound on the spool. I have found a great way add tension, which is to cut a small piece off a dish sponge and tape it tightly under the filmspools on both sides. The sponge acts like a spring and puts pressure on the film as it is wound from one side to the other. I have had perfectly wound film ever since I have employed this method. Another method is to fold a small piece of cardboard and insert it between the film and the body of the camera. My favorite color film at night is Fuji NPL which is rated at 160 ASA. For black and white I love Kodak BW400 CN, which is developed C41 and gives me beautiful, almost grainless ranges of greys and rich blacks. Update: as of 2010 Kodak does not make the BW400CN for medium format anymore. It is still available for 35mm. I have modified two of my Holgas for night photography. I took out the shutter, super-glued all moving parts and kept the lenscap. I also put in a custom tripod mount, the instructions for which I gleaned from one of several very helpful websites: This basically involved drilling a hole in the bottom of the camera and epoxygluing (is that aword?) a nut in the inside of the camera above the hole where the tripod screw will go. When you are ready to expose your film, simply take off the lenscap and start your timer. If you don’t want to put that much work into it, there are now several places where you can get a specially modfied Holga to suit your nightphotography needs. OH NO, I LOST THE LENS CAP! It happens: you are out shooting at night, you return to your camera after stumbling around in the dark for a while and you can’t find your lens cap! What to do? Do not despair! After a bit of research I found that the caps of “Republic of Tea” cans fit almost perfectly on the Holga lens. All you need to do is cushion them, on the inside, with a bit of the soft side of velcro and you can fit it on your Holga quite snugly. Granted the tea is not cheap, but think of the art you will produce! I like to sum up the principals of reciprocity failure like this: The longer the exposure, the longer the exposure™. For my night images I set the Holga on the tripod and take off the lenscap. At full moon light, away from the city, I found I need about 30 minutes to get good density in my negatives, which will give the nice saturation in the colors. While it is a lot faster to shoot digital, I like the slowness of shooting film which makes the process a lot more deliberate and gives opportunity to stand around in the dark and listen to the sounds of the night and just be there. 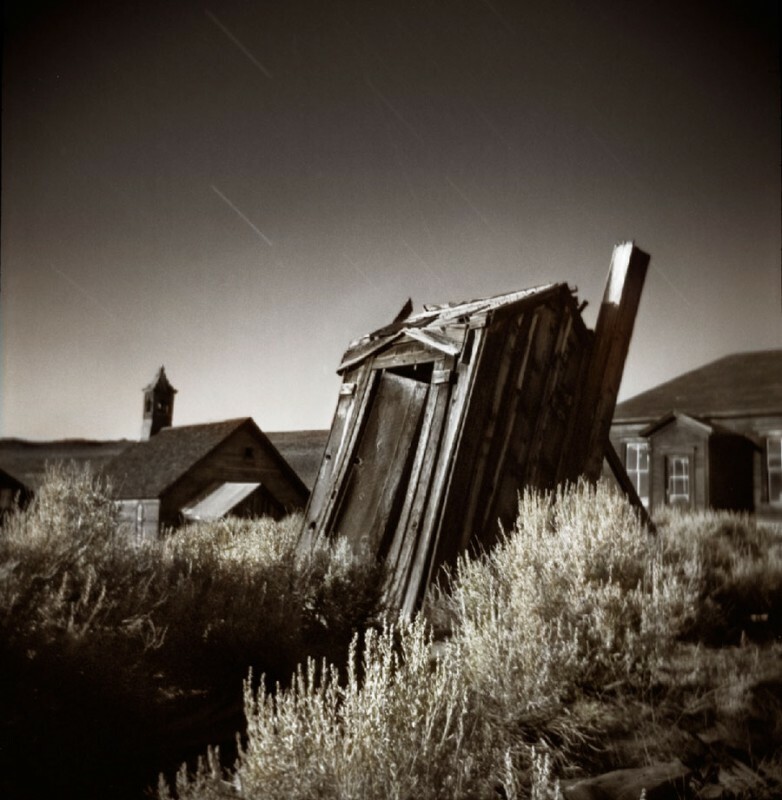 One of my favorite things to do is to load 35mm film into the Holga and get wonderful images exposing the entire filmplane, including the sprocketholes. To do this you must insert some padding on top and bottom of the film canister that will hold the 35mm film canister in the center of the camera. I have made little adapters with foamcore, an Xacto knife and Elmers glue. You can also use a piece of sponge. If you don’t want to do this yourself, you can get a kit at Holga Direct. Unloading the film must be done in complete darkness. I do it in my walk-in closet and under a blanket. You untape the Holga, take off the back and slowly and carefully re-wind the film into the canister. Its a bit time-consuming, but the results are well worth the effort. 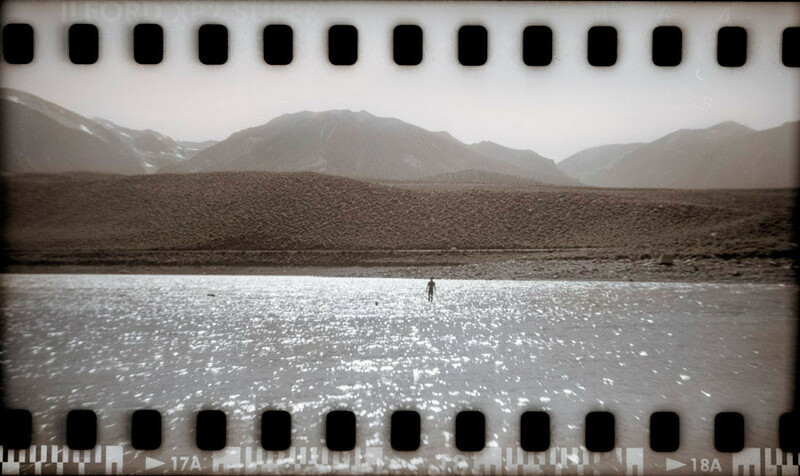 You can find more sprocket hole images in my Holga gallery. Since I first wrote this guide in 2004, there have been many innovations to Holga technology and now you can buy a custom-made Holga in various formats from wide-angle to super-sampler, all ready to go. One great resource for this is the Lomography store. They used to have one in downtown San Francisco, but apparently it closed. You can still get all these nifty cameras online though. 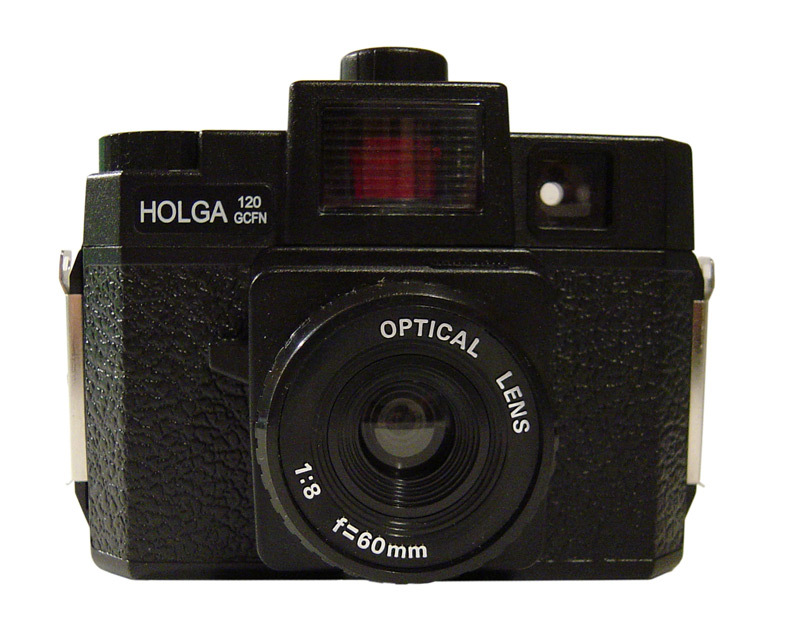 You can get the classic Holga 120N at Freestyle Photographic Supplies for $39.99. Now they even make a Holga lens for your digital camera, so your shots made with your $3000 DSLR look as crappy as the ones made with the $25 plastic camera. Go figure. Above all: Have fun and experiment!